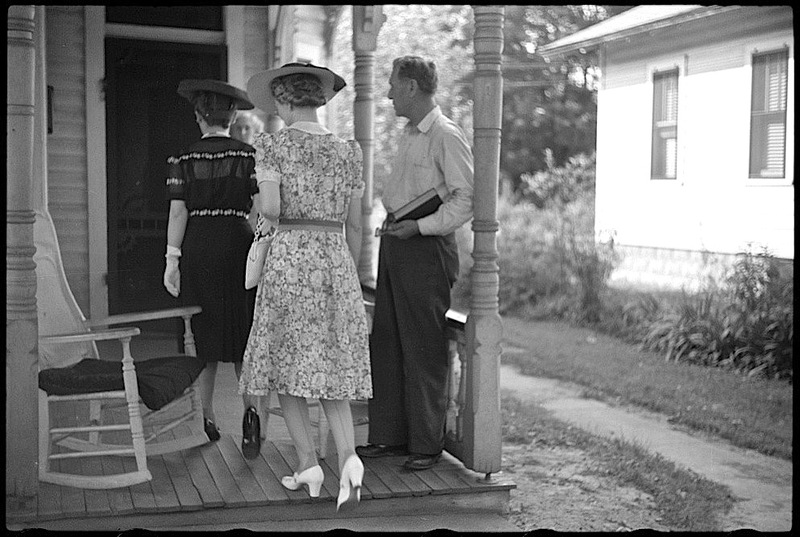 “Family members gathered on a porch, Muskoka Lakes, Ontario,” ca. 1900, by Frank W. Micklethwaite, via Library and Archives Canada (under CC license). “M. 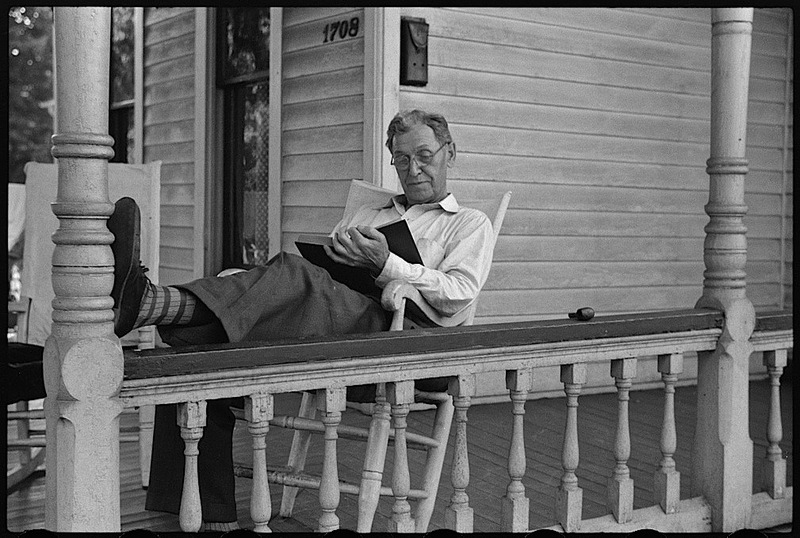 Laing reading on porch at Bala, July 29, 1925,” via The Globe and Mail Collections (1266, item 5873), City of Toronto Archives. ‘Bala’ is probably Bala, Ontario, a summer cottage community north of Toronto. 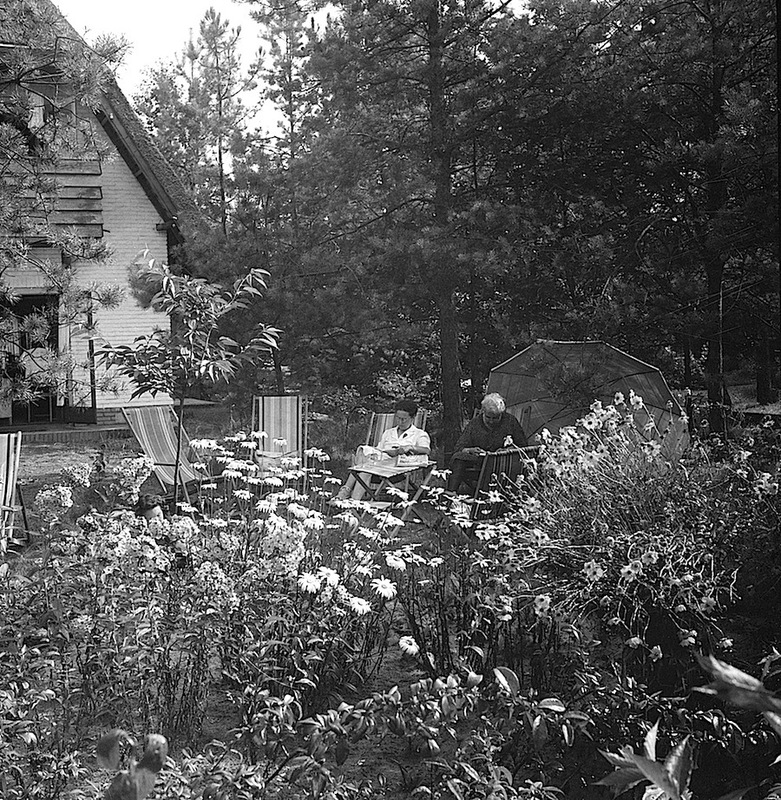 Three women in the garden; the one on the right is probably the mother of the photographer, Aalst, Gelderland, the Netherlands, undated, by Willem van de Poll, via Nationaal Archief (Netherlands). 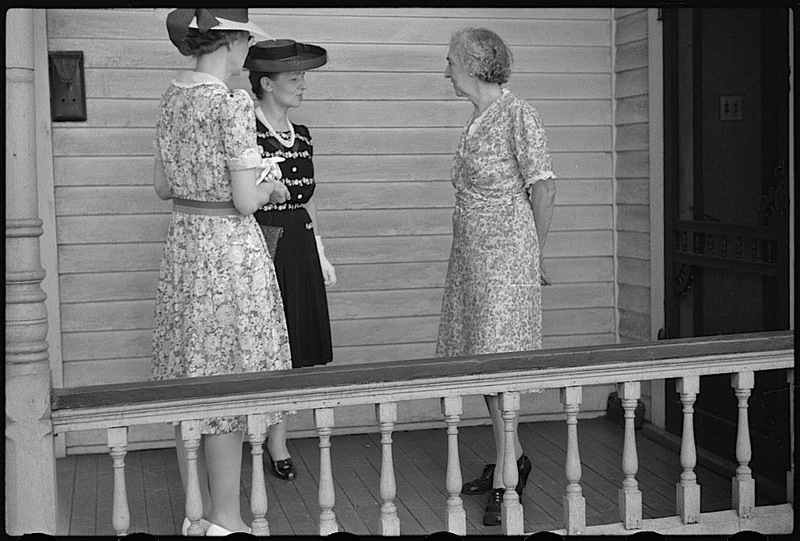 Sunday afternoon on the front porch, Vincennes, Indiana, July 1941, by John Vachon, via Library of Congress Prints and Photographs Division. At least it looks like he didn’t have to leave his book and go inside with them. 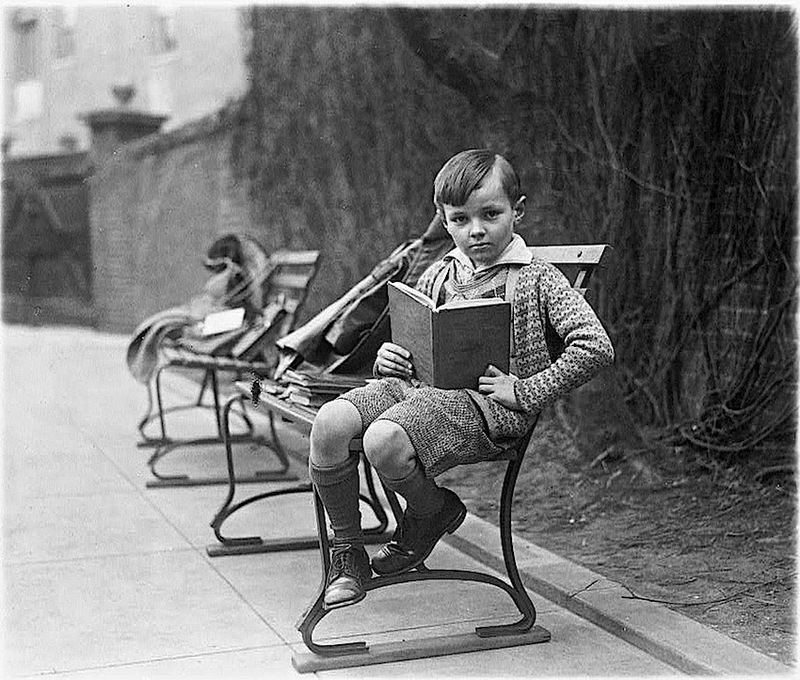 “Unidentified boy, seated on park bench, probably in Washington, D.C., holding book,” ca. 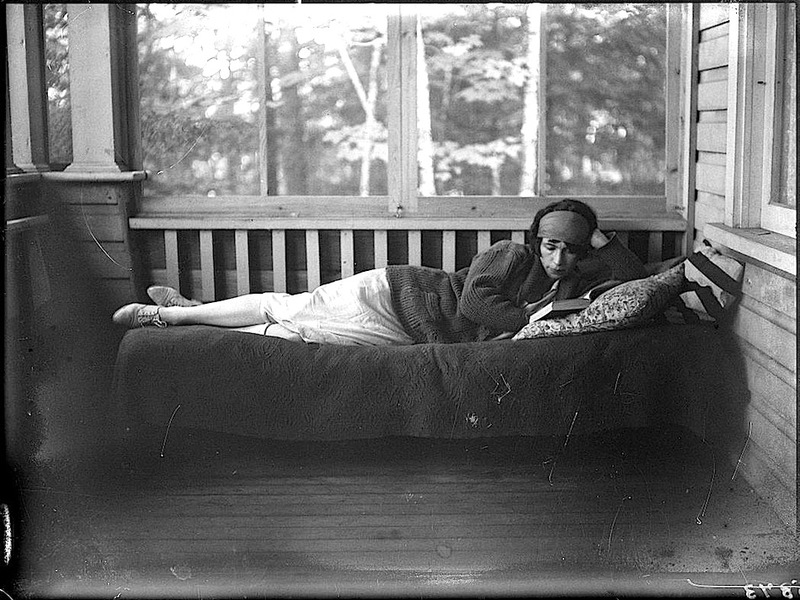 1920, by National Photo Company, via Library of Congress Prints and Photographs Division. I wonder if this isn’t a courtyard or garden corner of a college or university, rather than a park. Behind the boy are two adult coats, as well as books and files and at least one briefcase. Maybe he’s the son of a professor? I love his wonderful sweaters and tweed shorts.